It’s just two weeks to the Spring Exhibition and a few last items on the list! Donations for the raffle gratefully received in the collection box on Club nights! 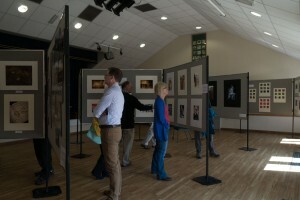 Please do give a hand – the exhibition might be of new and aspiring photographers’ work, but just like North Mundham, it is for everyone and help with catering, setting up (the ‘strong arms’ for the exhibition stands) and stewarding is needed – and enjoyable! And finally – do come along. The images are once again of a very high standard and a broad range of subjects and the event provides an easy relaxed social occasion – with plenty of cake of course.